The new Audi R18 made its world premiere on the occasion of the Audi Sport Finale at the Audi Training Center Munich on Saturday. 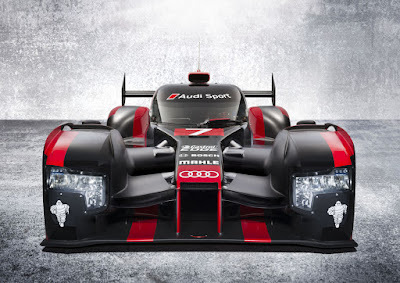 Audi Sport has fundamentally re-designed the Audi R18 for the 2016 season. The LMP1 race car that will compete in the Le Mans 24 Hours and in the FIA World Endurance Championship (WEC) in 2016 features innovative aerodynamics; represents the next stage in lightweight design; and has a modified hybrid system with lithium-ion batteries for energy storage, plus an efficiency-optimized TDI engine. The 2015 R18 e-tron quattro racer featured an encapsulated WHP flywheel energy storage system that sat in the cockpit alongside the driver. The 2016 R18 retains the 4.0L TDI engine. 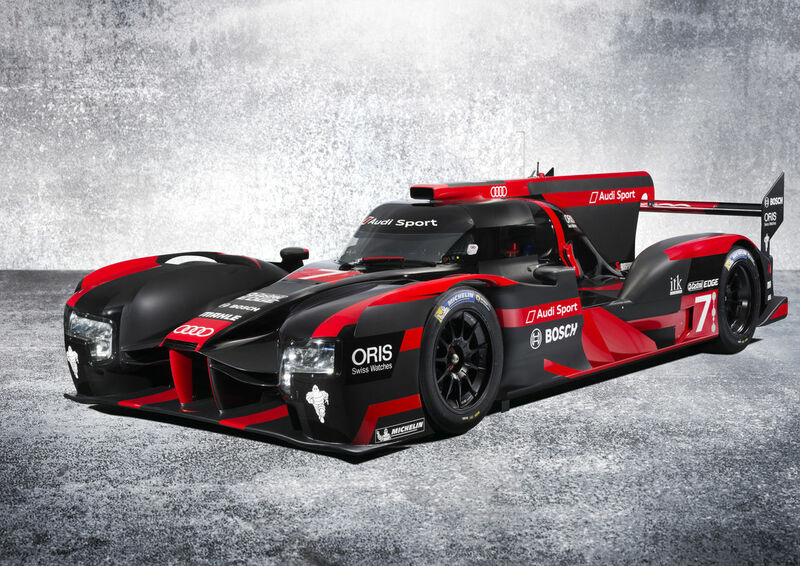 The 2016 R18 will race in the 6MJ class; the 2015 R18 raced in the 4MJ class, up from 2MJ the season before. Further technical details will come later. 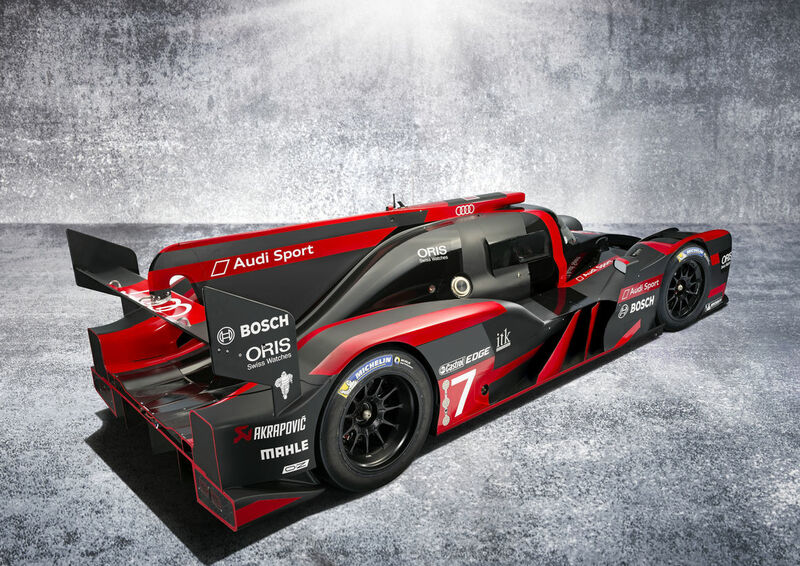 In the 2016 FIA World Endurance Championship (WEC) that will start at Silverstone (Great Britain) on April 17, Audi Sport Team Joest will be fielding two new Audi R18 cars. In the interest of cost efficiency, Audi and its Volkswagen Group sister brand Porsche, have both agreed to each compete in the Le Mans 24 Hours, the WEC season’s pinnacle event, with only two instead of the most recent three cars.